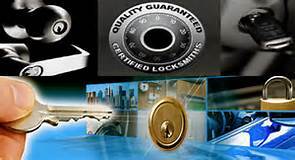 HERE AT LOCKSMITH TRAINING MERSEYSIDE WE TELL IT TO YOU AS IT IS , NO FAKE PROMISES , WE WILL TELL YOU THE TRUTH FROM DAY ONE. If you are thinking about a career in Locksmithing, then one Question will be on your mind , how much can I earn. Well folk will tell you different things, one person will tell you he earns so much and another will tell you differently . When. You start out obviously you're not going to be earning top dollar straight away, starting out you might be unsure how much to charge, it might be helpful to ask other locksmiths how much they might charge for different jobs, different times the day call for different charges. The more experience you get in the trade then the more confident you will get about charging customers. Different parts of the country charge different prices,you will find that down south they charge more than up north. But one thing will remain the same in locksmithing nationwide, the way you open /pick or bypass. Locks in locksmithing is the same ever you go in the country, i'd advise joining a locksmith forum, we're a friendly bunch and you will find that other locksmiths will always help you if you're Stuck. There are hundreds of advertising companys out there waiting to pounce and part you from your cash. But without the right advice you can soon find yourself taking on most of these companys and your phone wont be ringing with the amount of jobs they promised you......Lets take yellow pages / thompson local as a example.... this is everyones first idea when they think of advertising ...but not were LOCKSMITHS are concerned...if your locked out wheres the phone book.....in the house, so theres the first waste of hundreds of ££££S......These days internet / google and mobile phones are king when it comes to LOCKSMITHING , plus everyone is entitled to a free listing in the phone book, its just that they dont tell you that and its hidden away so you dont see it and you think you have to pay to be listed. you can not deny that some locksmiths make a very good living but they put in an awful amount of hard work ,have good business sense,work very long hours and have a certain amount of luck when it comes to their clients. locksmithing is not a way of getting rich quick, it has to be viewed in the long term "the more you put in the more you will get out" has never been so better put for locksmithing.